Daniel Levin, a free lance writer, with the Voice of America, did a positive feature piece on the HPD mounted patrol regarding their training and demonstrations. Mr. Levin’s piece on the Houston Police Department’s mounted patrol aired to Russian audiences in late December 2010. Mr. Levin expressed interest in the HPD mounted patrol due to his own fascination with horses. He knew a city as big and diverse as Houston would have a mounted patrol program that is actively involved in the community. 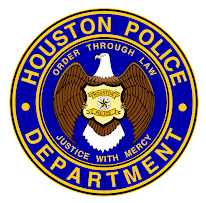 The piece provided a positive view of Houston and the day to day duties of the officers during their patrol of the city of Houston. Who can tell me what the title to this post is? Великий видео. Я люблю лошадей. Very nice. I bet the Russian Mounted Police are envious of our weather in Houston. 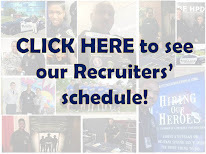 I can't wait to be HPD! The title says: "Police in a saddle". :-) And no, I did not use an online translator. I love seeing Russian on the HPD Blog. That's just the coolest thing for me!! Another little known fact about HPD's mounted patrol and K9 center is that they have a totally green built facility, complete with rainwater reclamation, ultra low-energy fixtures, native low-maintenance landscaping, and all the latest green technology. According to what I saw on TV, HPD isn't horsing around when it comes to their animals!